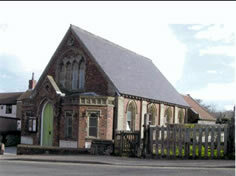 A small church with a membership of 22, all of whom enjoy a good sing. We pride ourselves in being a very friendly community and always count it a joy and privilege to meet new friends. We would be delighted to welcome you. Do join us whenever you can. Bible Study and Prayer Group (jointly with West Runton), meets on 2nd and 4th Fridays of the month at 2.30 p.m.. venues – 2nd Friday at West Runton Methodist Church; 4th Friday at East Runton Methodist Church.